Why should I fundraise for St George's Kidney Patients Association (SGKPA)? If you're already considering raising funds for us, you will no doubt be connected to St George's Hospital and probably the renal unit. Whether you are a patient yourself, a relative, carer or staff member you'll be aware of the excellent work done by staff and the extremely difficult lives that renal patients experience. St George's Kidney Patient Association aims to improve the lives of patients by improving the equipment available to staff and funding initiatives to improve patient's experience of hospital services. You would be helping us achieve our aims. Is SGKPA part of the St George's Hospital Charity? No. We do cooperate on some initiatives and are considering closer ties. However, our work is exclusively in support of the renal unit and patients. As a charity run by patients we don't pay salaries so all of our funds raised go to our work. What do you spend the money that is donated on? Generally the funds raised go on medical equipment and initiatives to improve patient experience. For more check out our latest fundraising campaign, ask us for our latest intentions or take a look at what we've bought before. It may be obvious, but it is the only income we have. We do not have any regular income from other sources. All of our fundraising is done by patients themselves or friends, relatives, carers or staff members. We have also received some donations from companies, usually in the context of sponsorship during a fundraising event. How much of what I raise will go to good causes? As we said earlier, the charity is run by patients for patients. As you can see from our accounts, we spend very little on overheads. We spend a small amount on post for the AGM and we pay the develop and run this site. Almost all of the rest is spent on the hospital and patients. Are you only interested in money or are there other ways to help? Clearly money is the most usable form of donation. Volunteering your time to fundraise and support the charities efforts are also important. If you want to get involved visit here. If you have items that you want to donate, you can sell them on eBay and donate the proceeds to the charity through the eBay for Charity scheme. We only use the information you give us to communicate with you. We will not sell your information to anyone. This question is best answered by you. We know that it takes more effort than donating. Most of our fundraisers see it as an opportunity for undertaking a challenge and having fun. They also see it as a way of saying thank you for the care and support received by them, or someone close, at the hospital. How do I decide how to raise funds for the SGKPA? Again you're best placed to make that decision, but here are some things to consider. Organising your own event will take considerably more effort. If you are the sort of person who enjoys organising then this may be the right thing for you. If not attending an organised event or activity may be the way to go. A third option is simply to approach friends and family for donations. 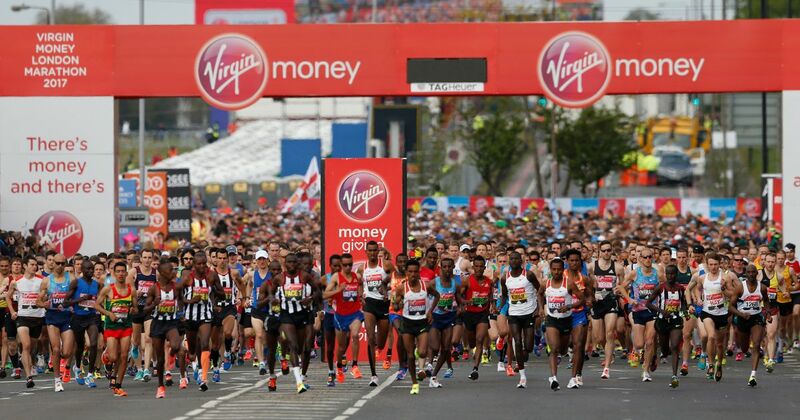 I want to run the London Marathon (or similar), can you get me a place? Most big events require participants to be raising money for charity when they enter ballots or make applications for places. As a charity we have not as yet applied for charity places in such ballots. If you are interested then please get in touch and we'll see how we can work together. We have plenty! Check out our fundraising ideas page. How can I keep it simple, I don't have much time? Take a look at our fundraising ideas page and choose something that you think would simple to undertake. Or simply ask for donations. See below for guidance on asking for donations. Should I organise an event? We'd love you to organise an event to benefit the charity, but again you are best placed to make this decision. The choice of event will determine the effort involved. Organising a cricket match is a significant undertaking; organising an afternoon tea party, significantly less. If you are considering organising an event, you will almost certainly be the sort of person who enjoys the process. Whatever you decide make sure you enjoy it! What sort of event should I arrange? Do you have any tips for holding an event? See our Advice & Tips page. Especially the section specific for events. How can I collect money for tickets to my event? We have previously set up a PayPal based ticketing system for an event on this website. If you have a large event that would benefit an online ticketing system (say over 50 people) then just let us know and we'll see what we can do. 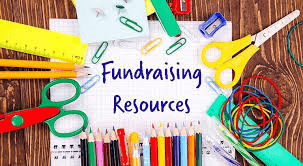 How can I find ways to maximise the success of my fundraising? Our fundraising guide, Advice & Tips page give ideas here. Do you provide event insurance? Unfortunately, no. Talk to the venue provider for bigger events and read our health and safety advice. Do read our Advice & Tips page as well as keep safe. They give important advice that will avoid some common pitfalls. 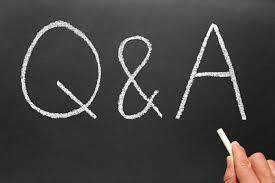 Can you help me get attendance at events? Will you pay my entrance fees. Like most charities, we do not. If you think you will raise far more than the cost, talk to us and we may be able to refund these after the event if you meet an agreed fundraising target. Do you provide insurance for attending an event? Can I just ask for donations? Of course you can. But just follow a few simple rules. Preferably set up a Virgin Money giving page or JustGiving. Are there any rules that I need to follow when collecting cash? As a charity we do not carry out house to house collections and therefore don’t hold the appropriate licence. Please don’t carry out house to house collections when fundraising for us. You can only hold a street collection if you get a licence from your local council. It’s much easier to get permission to collect on private property. Whether it is a pub, shopping centre or similar, you must get permission from the owner or manager. Make sure children are accompanied by an adult if collecting under 16. Clearly be safe carrying any money and avoid being on your own. Can I accept non-cash donations? You certainly can if they are for you to raffle or auction on. You or the donor could sell them under the eBay for Charity scheme. What's the best way to publicise my fundraising? As many as you can manage. Email, social media, leaflets, posters, banners, advertising in local papers and magazines, as well as through us. We have a press guide with a letter template on our fundraising resources page. Are there any tips for sending email requests for donations or sponsorship? How can I best use social media? There are many guides available around the Internet. We would recommend making your posts eye-catching with their use of pictures. Make your posts about your personal reasons for fundraising. Keep a "drum beat" of posts as you get nearer to your event or activity. Will SGKPA help me publicise my efforts? Yes. Post on our Facebook account and on our fundraising page form. You can also email us at donations@sgkpa.org.uk. What does St George's Kidney Patients Association (SGKPA) have to help me raise funds? Please take a look at our Fundraising Resources page. You will find both digital and physical material and items to help you. Do you have branded running shirts? We have currently not bought running shirts with our charity's logo on it. On investigation we found that was expensive when we weren't sure how many or what size we should buy. However there are a number of online sites that will print shirts to order (typically they need 5-10 working days). Here is our logo. If you need more help, please email us at info@sgkpa.org.uk.